The Commission met today, Tuesday, November 11th, 2014, and reviewed reports sent in from States by Resident Electoral Commissioners(RECs) on reconfiguration of the polling unit structure and creation of additional polling units. 1. Will continue with the use of voting POints, where necessary, to mitigate population pressure in overcrowded polling units during the forthcoming elections. 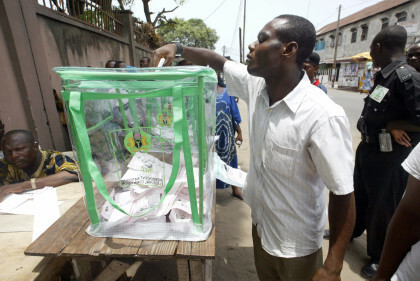 Taking everything into consideration – especially the controvery over creation of additional polling units that has been overheating the polity, and the apparent inadequacy of time for the exercise – the Commission took a decision to suspend the exercise until after the 2015 general elections. 3. As much as possible ensure that polling units are located in enclosures such as classrooms, rather than in open spaces.